The Blue Lagoon Reykjavik trip is one of the most popular things to do in Iceland. The Blue Lagoon hot springs of Iceland may be the countries most well-known attraction and certainly, it is most polarizing among travellers heading from Reykjavik to the Blue Lagoon. No visit to Iceland is complete without a trip to the Blue Lagoon. But do you know to get from Reykjavik to Blue Lagoon? We have all the Blue Lagoon Reykjavik options to make your day trip smooth and easy for you in this article. Can you imagine relaxing in these beautiful warm waters while watching the sunrise or set? Perfection! Blue Lagoon Iceland reviews range from an amazing experience, unforgettable to a tourist trap and overpriced. Iceland is expensive no matter what you do. What surprises people is that the Blue Lagoon is not even a natural geothermal pool. The lagoon is a man-made lagoon with the warm water supplied by the nearby geothermal power plant Svartsengi. The history of the Blue Lagoon started in 1976. A pool formed on the current site from the wastewater of the geothermal power plant that had been recently built and started operation. In the ensuing years people had bathed in the waters and claimed the waters had helped with numerous skin problems. At the start of the 1990’s construction was started on a facility on the site and the Blue Lagoon was opened to the public in 1992. The water temperature in the bathing and swimming area of the lagoon averages 37–39 °C (99–102 °F). Today the warm waters can still be enjoyed by the public but the business has also turned the location into the Blue Lagoon Spa and resort. The Blue Lagoon Spa is big business these days offering saunas, waterfalls, relaxation areas and mud masks. Most of us don’t experience The Blue Lagoon Spa, just a swim in the warm waters. Our family gives the Blue Lagoon Iceland a big thumbs up and recommends everyone visit when travelling in Iceland. We visited the Blue Lagoon early in the morning when it was still dark. It was a magical experience to watch the sunrise from the milky waters of the Blue Lagoon. The sun slowly comes up over the Martian looking landscape of the lava fields. The Blue Lagoon Iceland is located in a lava field in Grindavík on the Reykjanes Peninsula. Many people think the Blue Lagoon is near Reykjavik, but truth be told Reykjavik to Blue Lagoon will take you at least 45 minutes. Let’s explore ways to get you from Reykjavik to Blue Lagoon thermal pools! Blue Lagoon is easily accessed by road on Iceland route 1 or the Ring Road highway which actually runs all around the country. Driving in Iceland is subject to some extreme conditions at times. Snow and rain coming verticle at you, fog and sunshine. Allow extra time in the winter to arrive if driving just in case of bad weather. The road most of the way to the Blue Lagoon is single lane highway once you leave Reykjavik. The roads are in excellent condition especially the road to the Blue Lagoon as it is the same road to the Reykjavik international airport. The Blue Lagoon is 10km down the road after turning off the highway. Car Parking is available onsite and included in your Blue Lagoon Iceland tickets. Reykjavik transport to Blue Lagoon by taxi is possible, but it’s certainly not recommended as the price would be exorbitant. The price of a Blue Lagoon to Reykjavik taxi is around 16,000 ISK or upwards of $100 plus U.S dollars. There is no direct public transport from Reykjavik to the Blue Lagoon. The Blue Lagoon offers its own bus transfers via destination Blue Lagoon. 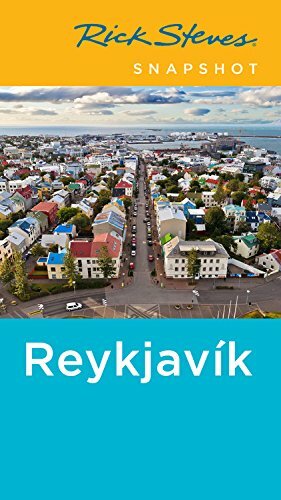 There are 2 options for this Reykjavik to Blue Lagoon and Reykjavik airport to Blue Lagoon. The service from Reykjavik runs on the hour from 7 am to 8 pm. There are 12 pick up spots in Reykjavik. Bonus Information: Reykjavik International Airport to Blue Lagoon. The Keflavik to Blue Lagoon bus may be convenient for people staying at hotels near the Blue Lagoon. Staying in the hotels near the Blue Lagoon gives you amazing access to the geothermal spa. What a great way to start or finish your holiday in Iceland. Below you will find a map with the pickup points for the bus to the Blue Lagoon from Reykjavik. Below we preview some of the tours that are available from Reykjavik to the Blue Lagoon and more. Bathe in the thermal waters of Iceland’s Blue Lagoon on a tour from Reykjavik. Experience the geothermal spa properties of Iceland’s most famous attraction. Marvel at west Iceland’s youngest lava field, and the spectacular surroundings of the geothermal steam bath. Relax at leisure in the milky-green waters with flexible return transfers. Transportation went smoothly. The Blue Lagoon was a beautiful experience. I highly recommend a trip like this to everyone! Take a bath in the healing waters of Iceland’s Blue Lagoon, and travel through the volcanic landscapes of the Golden Circle on an 11-hour tour from Reykjavik. Discover the site of the 1st Icelandic Parliament at Alþingi, and marvel at glacial waterfalls. Ideal for visitors with limited time in Iceland, but who still want to make the most of their stay, the tour includes transfers from Reykjavik in the morning so that you can laze in the geothermal spa. At midday, return to Reykjavík to travel along the legendary Golden Circle. Visit Þingvellir, marvel at the majestic Gullfoss waterfall of glacial waters, and continue to the spouting hot springs of Geysir and Strokkur. Overall rating 4.6 out of 5 over 78 reviews. We booked and were picked up at our hostel on time. There were no queues on arrival, no crowded changing rooms and shower facilities were immaculate. A fabulous experience, enjoying a glass of prosecco in these strange, but wonderful surroundings! You can’t come to Iceland without a visit to the Blue Lagoon! We hope you found this article about the Blue Lagoon Hot Springs Iceland from Wyld Family Travel informative. The Blue Lagoon makes me want to put all of my other projects on pause and study their marketing team! Seriously, I’ve looked into grants for this, but sadly I thought of it after I finished my masters thesis. How they turned excess water from a geothermal plant into one of the world’s top tourist destinations blows my mind. It is gorgeous, though! Everyone I know who’s been has raved about it. If you drive out there, I highly recommend taking a detour to Grindavik. Hopsnesviti is a great spot to explore an abandoned fishery, interact with some (not so friendly) rams and some (friendly) horses, and check out some shipwrecks that have washed ashore. I really loved my time in Reykjavik and the Blue Lagoon too. We took the bus, which was a cheap option, for Iceland at least. Also, I liked the blue lagoon, but yes it’s expensive. Still, when there, I think it’s worth doing, and would probably go back again! I bet going to the lagoon in the dark was amazing! I can just imagine being under the stars! We visited on a Blue Lagoon and Golden Circle tour but if we had more time I would definitely consider the whole day there. I would also love to get a spa treatment there although this would be far more difficult with my son in tow. I bought some mineral rich moisturising cream from the shop there so I could take a little of the lagoon home with me, although expensive, it feels ultra nice on my sensitive skin.